Thought it might be interesting and useful to share our own handfeeding "recipes" here, for those who (like me) might be looking for lower calcium/lower sodium alternatives to commercial handfeeding products. This is a very simple "recipe" using Kleenmama pellets and a few ingredients that are readily available at most grocery or health food stores (if these items are available in my po-dunk town, they're available almost anywhere). My guys LOVE this stuff. NOTE: Please be sure to read this information on handfeeding before using this or any other handfeeding recipe. 1. 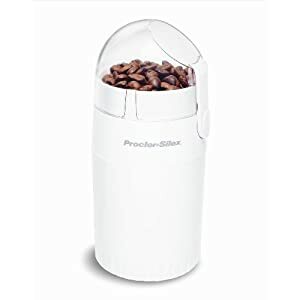 Grind the pellets and anise seeds to a smooth, relatively uniform dry mix (I use a small, inexpensive Proctor Silex coffee grinder). 2. Add the untoasted wheat germ and the contents of one 100mg acidophilus capsule to the ground mix (use a separate mixing bowl if you have a small capacity grinder). 3. Run this mix back through the grinder to grind to a finer powder. It also helps distribute the ingredients a little more evenly. 4. When finished, dump into a small zip-lock storage bag and refrigerate until needed. That's it! Makes approx. 35 grams of dry hand-feeding mix. Double or triple the recipe for a larger batch. I'm glad you started this thread sef! How long will the mixture last in the fridge? Can you freeze it? Hmmm. Good question. Both acidophilus and wheat germ need to be refrigerated in order to stay viable, but I don't know how well either of them freezes. I'll do a little more digging and see what I can come up with on that. Do you use acidophilus even when pigs aren't taking antibiotics? Also, is there a way to grid the ingredients without a coffee grinder? I usually let my oxbow pellets soak in water for awhile (a few hours is enough), and then mix with a little pumpkin baby food for taste. Excellent thread, thanks for starting it. I'll have to bookmark this for (hopefully not for a while, if ever) future use. I think I'll sticky your thread for a while during discussions and maybe I can add some recommendations to the hand feeding page later. Awesome thread! I'm so glad you posted about this. Fiona requires a lot of CC and this sounds like a good alternative. I will certainly be trying it out. Kat: The only thing I can imagine using instead of a coffee grinder is perhaps one of those "magic bullet" blender things. But I'm not sure if those are really meant to grind solids. Letting the pellets soak in water would break up the pellets, but wouldn't grind down the anise and wheat germ. Really like it...it's easy to clean, doesn't take up a lot of room, and does a good job with grinding. Also...it looks like the "Kleenmama" mix could stay viable for about a week with refrigeration. This is due to the use of raw wheat germ, which can turn rancid rather quickly. Not sure if toasted wheat germ would have the same nutritional benefits-? I have that exact coffee grinder. I used it to grind pellets for Elmo when I was handfeeding him. Works great, and it was not expensive at all. I will have to try this recipe next time I have to hand feed. Great thread, I'm going to write this out and stick it into my guinea pig binder. Thanks so much. Thank you very much for posting this recipe. I just have a couple of quick questions. Can the kleenmama pellets be subtitled? We usually have Oxbow here at the house. And anise seeds? Is star anise the same? I couldn't anise seeds today, but I came home with a sachet of STAR anise ones. Sure; the Kleenmama pellets could be substituted for Oxbow (essentially, making your own Critical Care). Ooh, thanks for the picture sef. That's helpful as I've never seen anise seeds (that I know of). We're going to get this stuff today and will try it out this weekend. By the way, I think if you also mixed in 1/4 of a 100 mg chewable crushed vitamin C tablet (maybe just before adding the water for a day's batch), that would help lots for a guinea pig too. What is 1 plain acidophilus, 100mg capsule can this recipe be used when piggy on medication? Can the Anise seeds be left out? As this is why Jessie went off the C&C. If this is a Probiotic we use Protexin. Are there anyother recipes? At present we are soaking Oxbow pellets in water and then mixing this with vegetables that have been through the juicer like Capsicum, rockmelon, grass, spinach, cucumber, carrot to name some. Will follow this thread with interest. I think Sef was just throwing out a recipe she liked and actually soliciting other combinations. You might come up with something on your own. Then add water until it's the consistency of cream soup....could be thicker for a pig that does not have severe teeth issues. BTW, I use Lifetime liquid acidophilous. It is dairy-free and the pigs like the taste. If a pig is on antibiotics I give 1 cc twice a day. ETA: I should have noted that I would prefer to use Critical Care and also less baby food, but Rain will only eat this recipe. Has any one tried the baby cereal Farex? Is it good for piggies? Was thinking of adding it to the pellet mush to feed Jessie? Have tried Jessie on Pumkin and Sweetcorn babyfood and she gagged she hated it so much. Shame if pumpkin is good for them in small amounts. Am pretty sure we do not have Gerber baby cereal here, but will have a look at what the shops have.